On Friday we ordered take out from Smashburger in preparation of my "5k" Saturday morning. Ok ok we all wanted burgers and were looking for any excuse to eat them. I went with the regular Smashburger on an egg bun, American cheese, lettuce, pickles, onions, with the smash sauce. On the side I split some of their spicy buffalo French fries (dry seasoned with Frank's RedHot) with Ryan. In honor of Meck Day I drank some Captain Jack out of my OMB pint glass. from Wikipedia: The Mecklenburg Declaration of Independence is claimed by some to be the first declaration of independence made in the Thirteen Colonies during the American Revolution. It was supposedly signed on May 20, 1775, at Charlotte, North Carolina, by a committee of citizens of Mecklenburg County, who declared independence from Great Britain after hearing of the battle of Lexington. May 20th is the day that those of us in Charlotte, recognize Captain Jack's delivery of the Mecklenburg Declaration of Independence to the Continental Congress. Olde Mecklenburg Brewery crafted a delicious pilsner and named it after Captain Jack. It is one of the beers that we constantly have on draft in our kegerator. Afterwards we hydrated ourselves appropriately with mimosas. Run for your Life raffled off some socks and pint glasses. Steph won herself a pair of Balega socks which are super comfy. It's always fun to run with a group of people, but it's definitely more fun when your bestie is one of those runners! 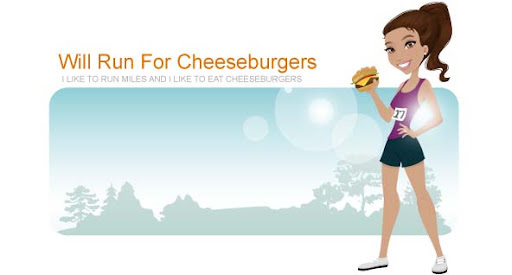 Hope everyone had a good weekend, full of running ... and beer ... and cheeseburgers!